’13 REASONS WHY’ (2017) SPOILER REVIEW – With a Perfect Ending, No Season 2 is Necessary…. Yes, this post is going to contain spoilers from ’13 Reasons Why’ so if you have not yet seen the show you can read my Non-Spoiler Review HERE and then come back once you have finished all 13 episodes. So i just want to go through a few things that i couldn’t put in my regular review for obvious reasons but were too good to not talk about. I’ll start off with mentioning how good the rest of the main cast were in their roles as the reasons why Hannah decided to end her life. Rather than going into everyone individually and going on for ages i’ll just lump them into one group because they are all equally as fantastic. Christian Navarro (Tony), Miles Heizer (Alex), Devin Druid (Tyler), Derek Luke (Mr. Porter), Alisha Boe (Jessica), Brandon Flynn (Justin), Ross Butler (Zach), Justin Prentice (Bryce), Steven Silver (Marcus), Michele Selene Ang (Courtney) and Ajiona Alexis (Sheri) all put in incredible, grounded, and emotional performances from start to finish. Next up i want to highlight the most uncomfortable and by far the most emotionally packed scene in the entire show that is also the most important scene. The scene where you see Hannah committing suicide by cutting her wrists in the bathtub was one of the hardest scenes to watch that i’ve ever seen. It was essentially a horror scene but what is perfect about it is that it doesn’t rely a single bit on graphic or gruesome content to make it so harrowing. Rather it takes all of the events from the entire show, all of the horrific events, the embarrassing events, the emotional moments, and has them all leading to this one short, brief, instantaneous moment. And its placement in the show is perfect, if the show was to open with this scene you would have no emotional investment in it, you wouldn’t know what lead to this point, and so it wouldn’t have an impact anywhere near as confronting. It is knowing what led into this event that makes it so painful to watch. And the way it is represented visually is done so in such a real way, the scene looks and feels so authentic it only further links the themes of this show to real life. So many shows nowadays would have cut away from any detail the moment the blade hits Hannah’s arm, but the fact that this show didn’t is very highly commendable. And the way it intentionally represents suicide is also key here. The fact that the event is so dull, there is no peace, the scene is littered with pain and sadness and then once it is over, that’s it, there isn’t any redemption or relief for Hannah and it only brings more pain and sadness into the world. It does a great job at not dodging the reality of such an event, it doesn’t sugar-coat it, it shows the horror of such a scenario to the audience, speaking to people of a similar age that not only is it not the only option but it is the wrong option regardless of the circumstances. Also another thing about this show is that it most definitely ended perfectly to the point where there should not be a season 2 nor does it need one. Was everything finally resolved in the end? No, and not everything needed to be. There are many things that are just left ambiguous, there for the audience to assume and to speculate as to what may have happened, whatever they leave open for interpretation we did not and do not need to know. What happened once Mr Porter finished his tape? Did he get rid of his copies not knowing there are others? Did he turn in Bryce’s tape? Did Bryce suffer for his actions? Where does Justin go now? Did Alex die? Did Alex really shoot himself? Why did Tyler pack guns in his luggage? Some of these questions you can assume and guess but none of them matter at all to the story being told this season. And it is definitely nothing interesting enough to base the beginning of a second season off. This shows key focus was on Clay and his relationship with Hannah, this was following Clay’s experiences whilst listening to the tapes, showing how it affected his life first and foremost over the people around him. 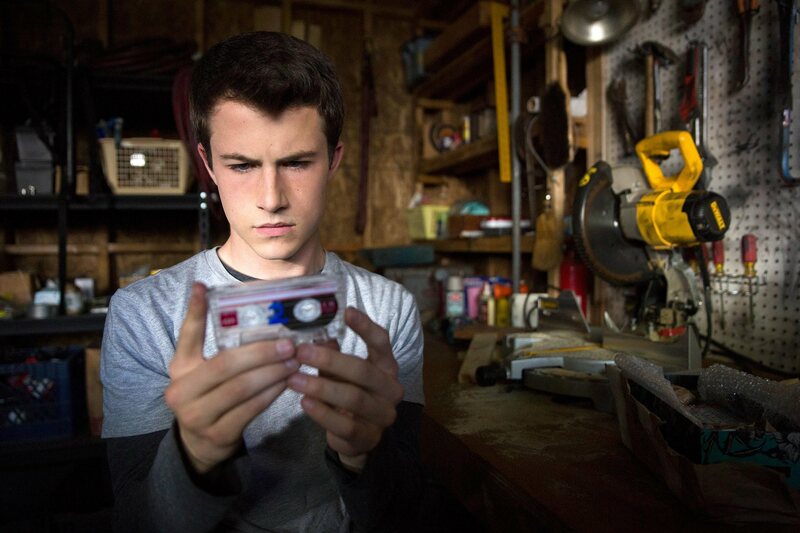 And as a result it is a story that should begin and end with Clay and that is what happens, the show begins with Clay receiving the tapes and ends with Clay passing the tapes on to the next person (skipping Bryce). It wasn’t about following Justin’s experience with the tapes, or Courtney’s, or even Alex’s it was limited to Clay and so when he is done we are too. So they’re just a few spoilery things i wanted to bring up in ’13 Reasons Why’ which if you haven’t realised already i loved. Once again, if you are looking for the score i gave the series you can find that HERE. Next ‘RINGS’ (2017) MOVIE REVIEW – When ‘Scary Movie 3’ is More Terrifying, Something Must Be Wrong…..